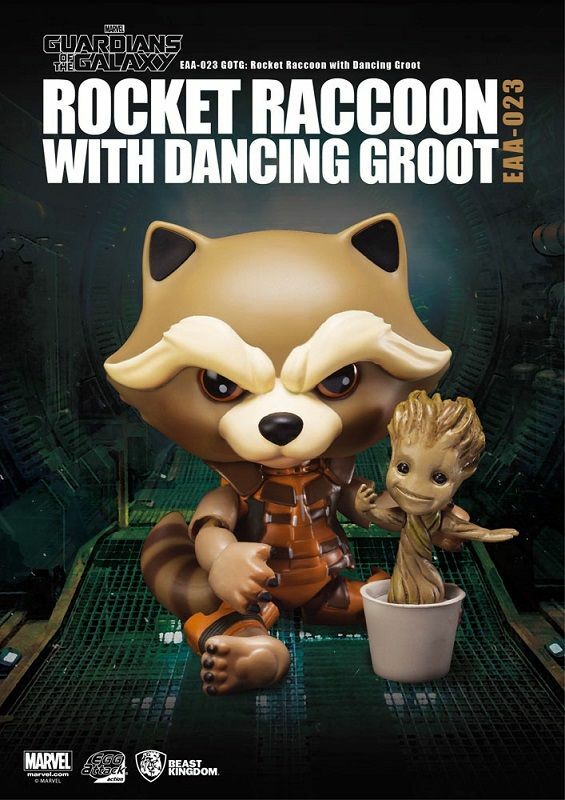 Beast Kingdom are proud to present their Egg Attack designed Rocket Raccoon who stands at 10cm and Dancing Groot who are the most popular duo from the Guardians of the Galaxy movie. 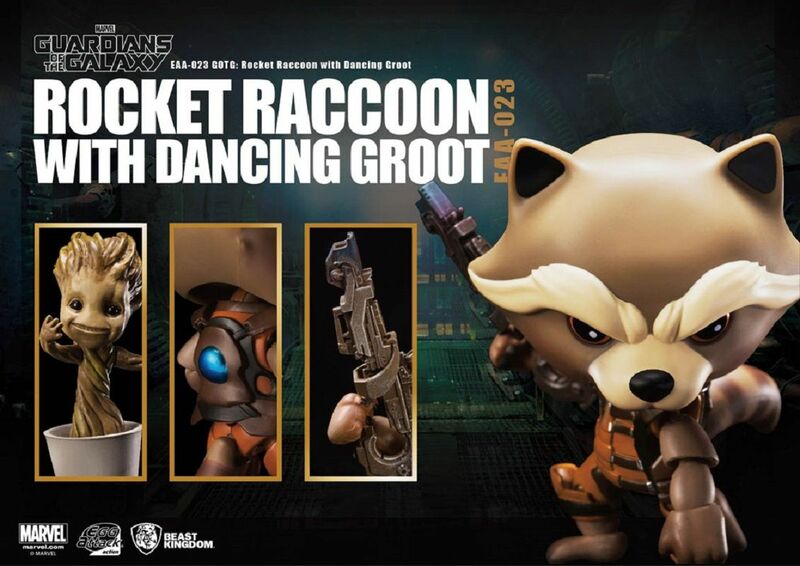 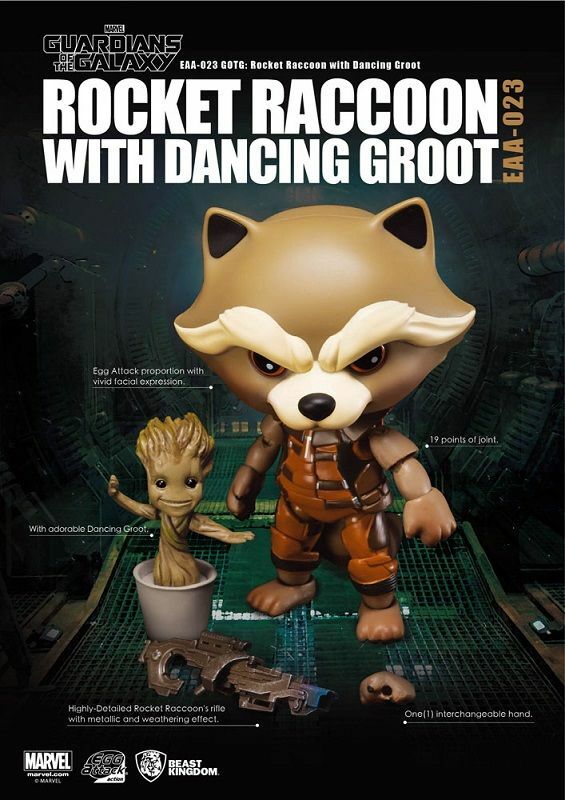 Both Rocket Raccoon and Dancing Groot come with vivid facial expressions to bring them to life and Rocket Raccon comes with the highly rifle which is painted with a metallic and treated weathering effect and Groot has a special paint application to portray his distinctive appearance. 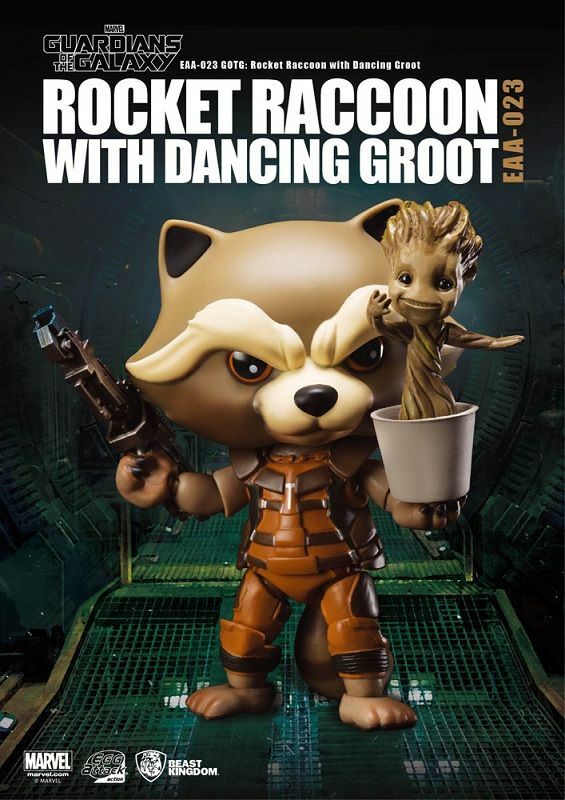 If you are a fan of Guardians of the Galaxy, you will not want to miss this duo.